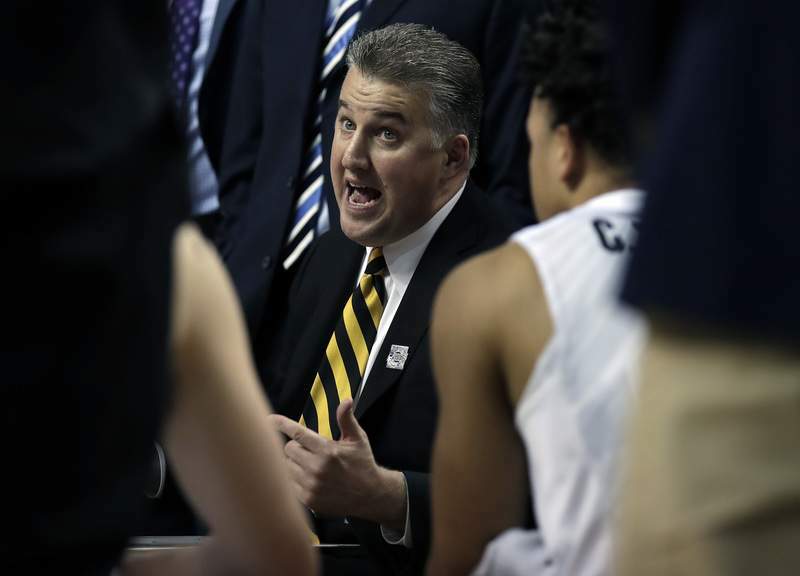 HARTFORD, Conn. – The end of the 2013-14 season was a low point in Matt Painter's tenure at Purdue. The Boilermakers had gone 15-17, missing the NCAA Tournament for the second season in a row. The turnaround began the next season and it hasn't stopped. Since that nadir, Painter has led the Boilermakers to five straight NCAA Tournaments, two Big Ten titles and two Sweet 16s, with a chance to go further this season. In fact, the transition to the next era of Purdue basketball had already begun by the time the Boilermakers wrapped up that second straight disappointing season in 2014. Painter had shifted his recruiting philosophy for the 2015 class, which eventually became one of the most successful in program history. In Painter's mind, the shift was simple and he places blame on himself for not doing it sooner. That 2015 class, which included Vincent Edwards, Isaac Haas, Dakota Mathias and P.J. Thompson, went on to win 104 games in four years, third-most in Purdue history. After they departed after last season, many believed Purdue would take a step back. Instead, the Boilermakers won a Big Ten title with a new cast of “Purdue Guys,” modeled on the 2015 group. For Painter, there is no specific set of skills that makes a Purdue Guy, though he does place significant value on outside shooting. Instead, the four-time Big Ten Coach of the Year has tried to bring in versatile players who have a specific mindset. “Why can't we go out and get skill?” Painter said. “Why can't we go out and get guys who want to get a good education at Purdue and want to be part of a championship, want to be a part of a team? Painter has dealt with that contradiction by deploying a trait his players admire in the coach: honesty. “I think being honest and straightforward with those guys really helps our chemistry,” Painter said. He doesn't promise recruits they'll play immediately, and once they're on campus he's forthright with them about their chances to see the court in a given season. That philosophy has helped the Boilermakers develop a deep bench of talented players willing to make contributions in limited minutes. Senior Ryan Cline mentioned Fort Wayne native and Bishop Dwenger graduate Grady Eifert specifically as the type of player Painter is trying to bring in on a regular basis. Eifert, who came in as walk-on, didn't play much his first two years with the Boilermakers but decided to stay rather than transfer for more time on the court. Painter's recruiting philosophy is built on, as he put it, “staying old,” having juniors and seniors who have been with the program leading the team. That's why bringing in players who are willing to play a smaller role at first is important. It's difficult to argue with the results of Painter's overhauled philosophy: The Boilermakers are set up for success in the present and the future. Purdue Guys will be leading the way.